Elegia fistulosa is striking in much the same way that a number of plants in the Restinaceae are and the flower heads of this plant are even more spectacular. 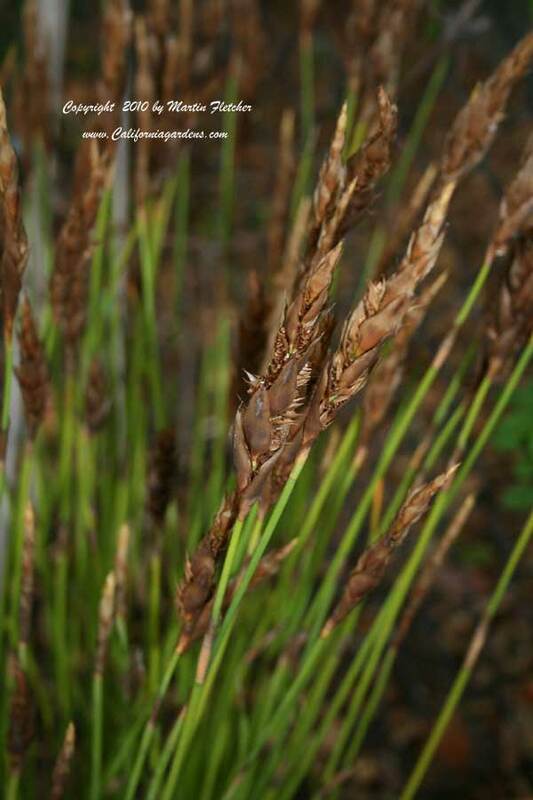 These 3 foot tall South African reeds, with their joints and dark heads show off nicely in the landscape. Elegia fistulosa seems a little more picky than most, requiring decent drainage. Elegia fistulosa does not do well in traffic areas, the stems are prone to flopping if knocked about. New shoots are produced at the end of the Fall flowering season. So far I only have these planted in a mild frost free garden and they have not yet seen a cold Winter. Seed heads of Elegia fistulosa - Hollow Reed Plant. High resolution photos are part of our garden image collection.